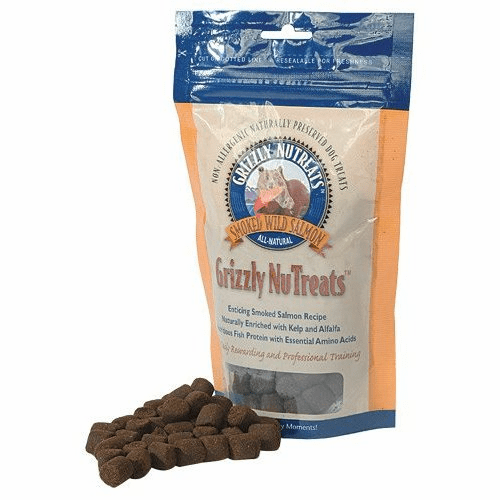 Home | Dogs | Pet Supplements | Grizzly Salmon Oil� All-natural salmon oil from $8.99 (Sale price: $8.29) | Grizzly Salmon Fillet Treats for Dogs & Cats (3 oz) Bag "The salmon jerky was a real hit!!! They kept following me around for more. Today I�m going to try the dehydrated food. Thanks, Val, NY :} "
Home | Cats | Pet Supplements | Grizzly Salmon Oil� All-natural salmon oil from $8.99 (Sale price: $8.29) | Grizzly Salmon Fillet Treats for Dogs & Cats (3 oz) Bag "The salmon jerky was a real hit!!! They kept following me around for more. Today I�m going to try the dehydrated food. Thanks, Val, NY :} "
Home | Dogs | Dog Cat Pet Treats | Grizzly Salmon Fillet Treats for Dogs & Cats (3 oz) Bag "The salmon jerky was a real hit!!! They kept following me around for more. Today I�m going to try the dehydrated food. 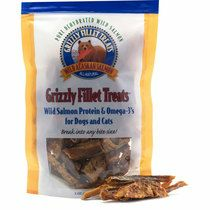 Thanks, Val, NY :} "
Home | Cats | Grizzly Salmon Fillet Treats for Dogs & Cats (3 oz) Bag "The salmon jerky was a real hit!!! They kept following me around for more. Today I�m going to try the dehydrated food. 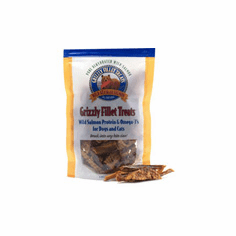 Thanks, Val, NY :} "
Grizzly Salmon Fillet Treats for Dogs & Cats (3 oz) Bag "The salmon jerky was a real hit!!! They kept following me around for more. Today I�m going to try the dehydrated food. Thanks Val:} "
We recommend that you keep this bag in a secure location as we have heard of many pets steeling and devouring the contents of this bag in one sitting. BUYER BEWARE!! !